We hope that the below guide is useful for any brides, grooms or party planners who are considering hiring a marquee. 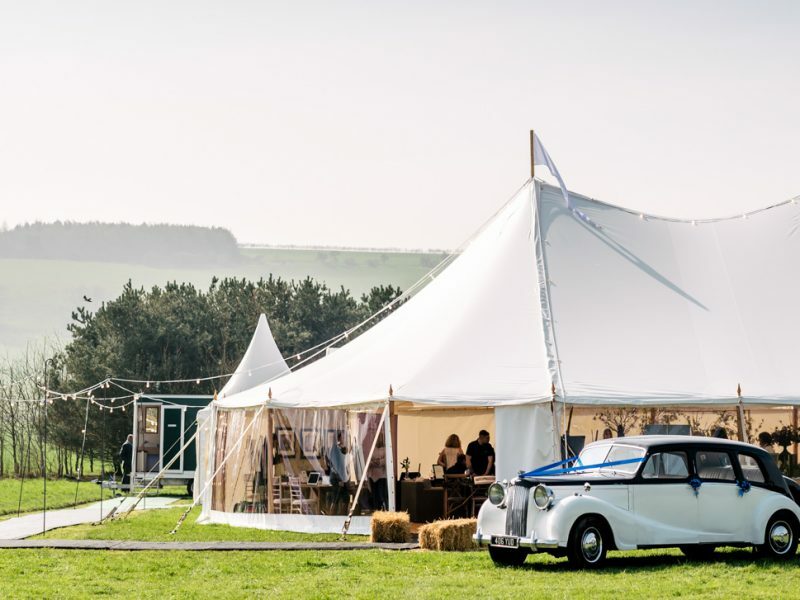 We stock only the finest quality frame and pole marquees and when you are creating a space for a wedding or a party it’s vital that this quality of marquee is used. All our marquees and everything that goes with them (furniture, dance floors, heaters etc) are new in the past few years and they are the most premium items available to buy which should give you peace of mind. We are proud of our reputation and work very hard to stock only the finest quality equipment. We have a ‘happy to help’ attitude so if you need any advice then please do contact us individually and we will share our experience and advice freely and with no pressure at all. Marquees are truly amazing spaces for weddings and events but they need to be ‘done correctly’ – a phrase that sums up exactly how we work. • Raised wooden flooring with brand new carpet for a frame marquee. This is vital to ensure that the marquee and your guests are protected and comfortable no matter what the weather. New carpeting is something we do for every single job – it gives the customer flexibility in colour scheme but also ensures the marquee looks immaculate. • Raised wooden flooring with matting overlay for a pole marquee – as far as we are aware we are the only marquee company to insist on wooden flooring for our pole marquees as well as our frame marquees. If you need it for frame marquees (which you do) then it’s no different for a pole marquee so just as important. A solid base will raise up the flooring ever so slightly so rainfall will go under the floor and not into the marquee itself. It will stop the ground becoming soft and muddy. As well as keeping the matting more level so its not a trip hazard. On soft ground matting will bunch up and sink into the floor which not only looks unsightly but can be very awkward to walk on. • Quality dance floors – our dance floors are top of the range and British made, as such they look fantastic. We also have some variety, offering them in black, black and white, plain white or wooden effect. • Linings to the roof, walls, window drapes and swags in frame marquees (no linings required in pole marquees). In the grand scheme of it all these add little to the cost but ensure a high standard of finish. • Lastly and most importantly – the marquee be wind tested. There are almost as many makes and models of marquee as there are cars on the road and just like these some are new, some old, some tested and approved and some unfortunately not tested and approved. We get a lot of confidence from our Roder HTS wind tested frame marquees and our experience has known them stand up in all conditions, unlike many of our competitors’ marquees. Our pole marquees are also wind tested to the same high level as our frame marquees. This means no matter where the site is, we can advise in confidence knowing that whichever marquee you pick with us it will be able to stand up to the harshest of Yorkshire weather. • Raised wooden flooring and carpeting/matting. Beware of quotes that say ‘Flooring’ – it’s dishonest of companies to call it this when actually what they mean is material matting/rugs/carpet straight onto grass but despite this they still call it flooring. • Check that it’s a framed clear span marquee provided by Roder HTS – the world’s leader in marquee construction. Or, if a pole marquee then wind tested to the same degree. • Check how modern the marquee that they are providing is – we look after our equipment incredibly well and replace it every few years unlike a lot of marquee companies who replace their equipment approx. every 10 years. • Suss out the type of company that is providing it and the people that run it; Are they genuine? Will they turn up when they say they will? Do they respond to your questions in a timely manner? Do you trust them to provide a gorgeous looking marquee that works as it should? • Testimonials – ask to see them. We can show you lots from members of the general public to corporate customers such as local councils. • Where do they work? – We work at most of the stately homes in the local area – this is a massive compliment to our services as they have seen lots of marquees and marquee companies over the years, yet they use and recommend us. • At least once a year we hold an open day where you can see our marquees up and look around. This shows our confidence in our marquees. At the other end of the scale to this are other companies out there who don’t want you to see their marquees until it’s too late to do anything about it – a scary thought. • Are they trustworthy individuals? You are placing a great amount of trust on a company to turn up to provide a structure from scratch that looks and performs perfectly for one of the biggest days of your life. • Accessories – will your marquee company deliver generators, loo’s, catering marquees? Position them with walkways, extra doors for ease of access? Be a one stop shop for any queries you have? We do all these things and more which removes a lot of risk and also worry. Please have a look through the gallery section on our website to see our stunning marquees. If we can be of further assistance then please do get in touch – we are happy to help.